If you have an old air conditioner that is not running properly, it might be time to consider replacing old equipment with a new, high efficiency model. Once you have decided on the system that best meets your needs, call B&B Air Conditioning for your AC Installation. We will get you in the schedule as soon as possible to do the ac installation work. Your comfort is our business. Need a new air conditioner? Call us today for a free estimate! Every effort will be taken to make sure your home is protected during the installation process. Drop cloths and shoe covers will be used to protect your carpet and all construction debris will be removed by our technicians. Your new AC will be handled with care while being installed by our professional team. Once the installation has been completed, we will test the new a/c cooling and heating system to be sure it is performing properly. We will be certain that the unit delivers equalized comfort to each and every room in your house. 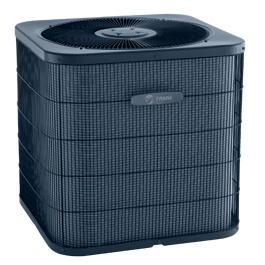 We install all AC brands, including Trane, Carrier and Comfortmaker. Call to schedule a Free Estimate at B&B Air Conditioning & Heating. We look forward to providing you with a true, positive customer service experience. Call B&B Air Conditioning and Heating today at 321-727-0101.